The MXR Carbon Copy is one of the most popular pedals on the market and is an absolute pedalboard staple for a massive variety of players. Its simple layout and straight-forward analog circuit offers 600ms of delay time with an switchable modulation setting. 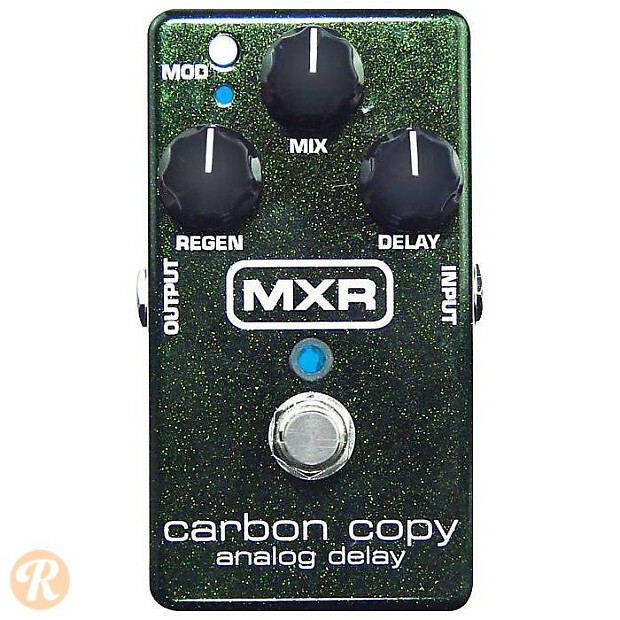 The Carbon Copy is known for somewhat darkly voiced delay trails, and MXR has also built a "bright" version of this pedal as an alternative.